At Play and Party, we have many years of experience helping local parents to organize fabulous, fun events to celebrate kids’ birthdays and we would love to help you make your child’s next celebration one to remember. Wherever you live in the region, you will find our centrally located indoor playground and birthday centre easy to reach and with a range of attractive party packages from which to choose, we are sure to have something that is perfect for your needs. To discuss the facilities and pricing, please do not hesitate to call us on 289-234-7529 whenever you have a few minutes to spare. Soft Play Area – Our indoor playground boasts a soft play area where younger children can enjoy themselves in a completely safe environment. This is great for parents of toddlers as they can relax at the party, safe in the knowledge that their little ones are not in any danger. 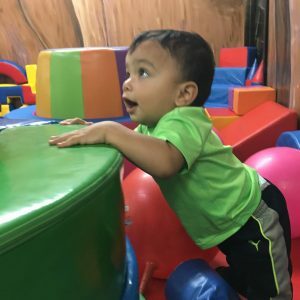 Jungle Gym – Slightly older children love to test their strength and ability on our indoor jungle gym. In addition to keeping them entertained, it will help them to expend all that excess energy of which kids seem to have an almost endless supply. In our experience, the key to organizing successful children’s birthday parties in York Region is to make sure that all the guests go home spent at the end of the day! 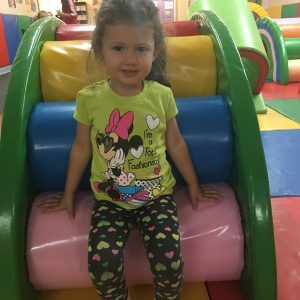 Fun Obstacle Course – A popular attraction in the indoor playground, the obstacle course gives children the opportunity to compete against their friends or themselves, and to have a great deal of fun in the process. Ball Pit – A perennial favourite with young kids, our ball pit is sure to be a big hit with your child and their friends when they visit for a birthday celebration. Kids birthday parties in York region without a ball pit just aren’t as good! Private Party Room – If you would like a place all to yourselves when you are celebrating your son or daughter’s birthday, you are welcome to book our spacious private party room. Well-Equipped Kitchenette – Party food can be one of the biggest costs when organizing a kids birthday celebration at a local venue, which is why we offer you the use of our well-equipped kitchenette when you book a package with us. You can bring your own ingredients and cook whatever you want for your children and their friends. In addition to all of the above you can opt to include one or more of our party upgrades when you buy a package, which include a private movie theatre and a cotton candy machine. If you are not sure which of our options for birthday parties in York region you should include in your package, or which package is best suited to your needs, please feel free to call and ask for advice at any time. 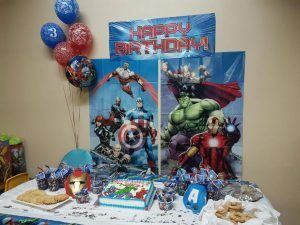 Organizing a birthday party for your son or daughter can be quite a stressful task so it is not surprising that many parents forget certain things when they are trying to make all of the necessary arrangements. If you are planning a party for one of your children, take a look at the list below to see if there is anything obvious that you have forgotten: sometimes, in our haste to get everything done on time, we can forget the simplest of things and it is only when we see them written down in black and white that we realize our mistake. Whether you live here in the city or in one of the adjacent communities, there are a number of key factors you should never forget when you are organizing an important birthday celebration. Activities for All Ages – One of the easiest mistakes to make when planning a party is to forget that you will be catering to people of all ages, not just your son or daughter’s closets friends. Older siblings and parents will also need to be kept amused for the duration of your birthday party. The Venue – Unless you are holding the party in your house, you will need to book a venue at the earliest possible opportunity. Never leave this until the last minute because the best venues for birthday parties in Markham and elsewhere are always fully booked for months in advance. Transportation – Assuming that you book one of the local venues, you need to consider the question of accessibility: how are all your guests going to make it to the party? Hire somewhere close to the centre of the city and this will not be an issue. Decorations – You would think that decorations are easy to remember but with everything else to organize, they too can be forgotten. A venue that specializes in birthday parties in Markham and therefore provides decorations for you will ensure this is not a problem. Cleaning Up Afterwards – One factor that many people forget, perhaps because they simply don’t want to think about it, is the amount of time it will take to clear up after the party and who is going to do all the hard work. Again, a venue that provides a helping hand in this respect will make your life much easier. Invitations – Sending out invites is such an obvious thing to remember that perversely, it is very easy to forget. Given that doing so could ruin the whole party, you need to avoid making this particular mistake at all costs. Entertainment – Whether you book a clown for the afternoon, arrange for a local band to play a set, or simply book a venue that offers a variety of on-site activities to visitors, entertainment is of vital importance so don’t forget it! 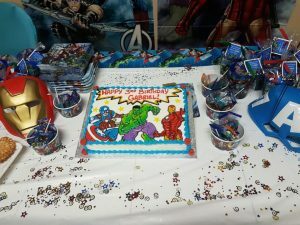 For more advice, call the experts at organizing birthday parties in Markham, call Oaktree Play Centre! We all have those memories of times when fun and games ended in tears, though for some of us in Maple they are no longer just memories but an everyday reality! We know that as parents your first and foremost concern is for the safety and well-being of your children. That is why we created this list of safety considerations to help avoid mishaps, or at least to ensure that the mishaps are nothing worse than a valuable lesson for your child. Safe Play: Common sense is worth repeating; No roughhousing on moving equipment. Go down slides feet-first. Make sure that trampolines (not suitable for children under 6, by the way) have plenty of overhead clearance, soft surrounds and no holes or protruding springs. Adult Supervision: Young kids can’t always gauge distances correctly or foresee dangerous consequences on their own. This also applies to older kids who are especially fond of testing their limits. It is therefore necessary to ensure that your indoor playground always has a supervising adult who can see all areas of the playground and is ready to deal with emergencies. Surfaces: Cushioned or shock absorbent surfacing should extend at least 6 feet beyond equipment. Surfaces that are on the harder and rougher end of the spectrum should be reserved for kids who are old enough to deal with a few harmless knocks and scrapes or avoid them altogether. First Aid: Be prepared for injuries. Along with the proper emergency procedures, playground staff should be properly trained in paediatric first aid since first aid for children isn’t necessarily the same as first aid for adults. If your child has a condition that requires constant observation and specialist treatment such as diabetes, epilepsy, allergies or similar then you should let the playground staff know. Depending on what it is, our playground staff in Maple may be able keep a stock of spare medication for your child, just in case. Clothing: Indoor playgrounds generally don’t have clothing restrictions for their patrons, but as a parent it is important for you to ensure that whatever your child is wearing will not cause them harm in a playground accident. This will change as kids become more able with age, but as a general rule of thumb it is a good idea to avoid wearing clothes with drawstrings or any kind of jewellery such as necklaces, rings or bracelets while at the playground. These can accidentally get caught on parts of the playground, which can be quite distressing if not painful. This is by no means an exhaustive list of safety considerations; you could probably add quite a few more points without thinking too hard. However, if you still have any lingering questions on how to keep your young ones safe without ruining the fun for them then please call us or better yet, come in and talk to us if you happen to find yourself in the Maple area. As winter approaches in Richmond Hill many parents will be thinking of ways for their children to expend their energy and indulge their natural curiosity without freezing to death. Whether it’s a birthday treat, a spot of crisis aversion or time set aside for the children to play and learn with you and other children, indoor playgrounds are a fun and safe place for children to test their limits. Safety: We know that as a parent this is one of your foremost priorities. Make sure that you are satisfied with the condition of the equipment. Ask about the level of staff training as well as the policies and procedures in place to ensure that mishaps are dealt with properly or avoided altogether. Equipment: The toys and equipment should be age appropriate. If the playground is enjoyed by children of different age groups, then the equipment should provide the children with the level of challenge and fun that is appropriate for their age while being safe for all concerned. Sandboxes, shock-absorbent surfacing and open-ended equipment are staples of a well-equipped indoor playground. Activities: There’s more to playgrounds than the equipment. Good playgrounds are places where the only thing limiting kids is their imagination. Playgrounds can also stretch and stimulate children’s imagination with educational activities such as workshops, special events and themes. Location: The playground may be a way of averting crisis, so you certainly don’t want the trip to and from the playground itself to turn into a crisis. Make sure that the playground is a convenient or at least tolerable distance for travel. It is also helpful to have other amenities such as shops and child friendly restaurants nearby. 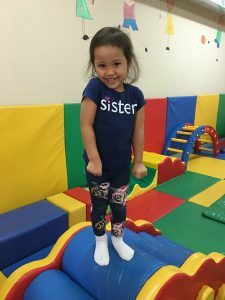 Richmond Hill is a kid friendly neighbourhood where you can be sure that your little one will be able to easily meet, play and make friends with other kids. Opening Times: It would be a shame to rock up to the playground only to find it closed, which may even result in you getting an earful from the little one! Most playgrounds open from early morning until around noon during weekdays and from mid-morning until the late afternoon on weekends. There may also be specific times for certain activities that are designed for specific ages. Be sure to check and confirm before you set off. Facilities: Play can get messy – and so it should! Just as it is important to let kids have their messy fun to learn from, it is important that the playground has toilets, wash rooms and water fountains that are safe and conveniently placed for both adults and children. Adults should be able to grab a coffee or a bite to eat and have comfortable seating for when they simply want to watch while their children run riot. Oaktree Play Centre is more than happy to answer any questions that you may have. Feel free to call us or better yet, come and visit us in Richmond Hill! So you – or rather your child – would like to have a birthday party at an indoor playground. Awesome! Playgrounds are an excellent choice of venue for hosting children’s parties for many reasons; the staff are experienced in dealing with children, there is little or no setting up and cleaning up for you to do and there are already plenty of features and equipment to keep the children entertained. With all of these factors combined, indoor playgrounds can certainly lend themselves to themed parties that really set young imaginations free; just imagine creating a pirate lagoon at your house in Aurora versus the playground. Yup, thought so. Below is a short list of things to consider for the party. Activities: Ask the venue about any packages or party specials that are available upon request. The venue will almost certainly be able to help with booking entertainers if required. Themes: Don’t get us wrong, playgrounds are great for kids just the way they are, but if you’re not planning a theme for the party you may be missing a trick! Discuss details with the venue as they may have their own decorations. Some venues allow very limited outside decorations to be brought in or don’t allow balloons so it’s best to check first. Food: Plan the menu. If you have specific dietary requirements for the party then you should coordinate these with the venue, who may be able to help you to prepare food onsite or arrange catering for you. Some venues allow you to make all of your own catering arrangements and bring in food and drinks from outside. Scheduling: Timing and coordination is crucial for these kinds of events. Make sure that your desired venue is available during your desired time slot well in advance. Certain venues may be willing to be flexible with their opening and closing times for the convenience of you and your guests. Payment: Clarify all costs with the venue beforehand. This may include such things as upfront deposits, final payments, member / walk-in rates for guests. This is your opportunity to negotiate a good deal! Get Help: Line up any help you may need well in advance. Whether you need help with camera work, music, setting up, catering or adult supervision you should speak to the venue first about the kind of assistance that they do or don’t provide. Multimedia: If you intend to stream music, have a live web broadcast or simply wish to allow the adults present to have internet connectivity for their devices you should ensure that the WiFi available in the required area has a strong enough signal. If you wish to record the event on camera then you may want to ask the venue if the camera and post-production work is included in any of their packages. Whether you live in the Aurora itself or any of the surrounding areas, please feel free to come in and talk to us about your ideas and requirements for your upcoming party!